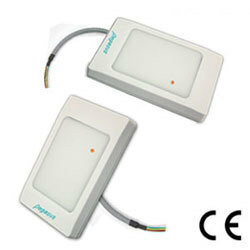 Manufacturer of Time Attendance & Access Control Security System. The RFID smart card reader and writer is designed to comply with ISO14443A / B、ISO15693 standard for reading and writing the smart card for various applications. such as prepaid value system for vehicle, ticket, membership club, dining, laundry, etc. it's easily to communicate with PC by USB or RS-232, RS-485 interface.